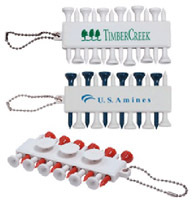 With your firm imprint or logo, our promotional golf items, make great promotional items. See our wide choice of golf items below. These items will make a big impression to promote your business by advertising with promotional products.. This means that everyone will see the golf items with your company imprint or logo, use them, and think of your firm when they need your product or business. It is also a great way to promote a specific event. Description: Inexpensive plastic green repair tool. Pricing includes a one color silk-screened imprint on one side. Lowest price starting at: $5.37 each. Description: Large bag stores golf and other sports shoes. Made with soft black jersey cloth with mesh vents. Zippered closure. Stores flat. Lowest price starting at: $3.23 each. Description: Unique design and quality metal construction. Perfect size and shape for fixing greens. Features plastic color accents. There is a 6% surcharge on orders shipped to California. Lowest price starting at: $18.39 each. Lowest price starting at: $2.04 each. Description: � Carabiner style hook can attach towel to golf bag, belt loop, etc. � Soft towel conveniently wipes dirt and mud from golf balls and golf clubs. � Actual size of towel is 17-1/2�h x 11�w. 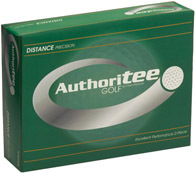 Description: Features: * Durable plastic tees and 3 ball markers included. * Keeps golf tees and ball markers organized. * Refillable with standard tees. * Hanging feature attaches to belt loop or bag.